Photosensitive disorders include idiopathic pho-todermatoses and photo-toxic and photo-allergic diseases related to identified photosensitizing molecules (also called chromophores). 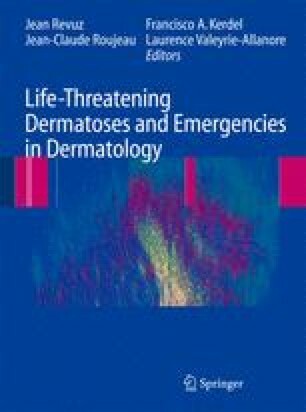 Severe acute cutaneous reactions (from diffuse erythema to large bullous) are mainly observed with photo-toxic reactions caused by external agents (systemic or topically applied) which lower the threshold for abnormal UVR responses. Extensive burns have been particularly reported after therapeutic phototherapy or cosmetic use of psoralens for tanning. Various photo-toxic and photo-allergic clinical reactions have been described with systemic drugs, especially with quinolones and propionic acid derivatives. Diagnosing photosensitive disorders first depends on clinical examination with precise interrogation concerning possible sun exposure, and research of photosensitizing drugs.